Conor O'Malley; James Chambers, Sean Hoare, Kenny Browne, Ian Bermingham; Conan Byrne, Greg Bolger, Chris Forrester, Aaron Greene; Ciaran Kilduff, Christy Fagan (Morgan Langley, 46). Gerard Doherty (Sean Patton, 43); Seéamus Sharkey, Ryan McBride, Shane McEleney, Aaron Barry; Philip Lowry, Barry McNamee, Patrick McEleney, Seanan Clucas, Sean Houston (Joshua Daniels, 68); Anthony Elding (Cillian Morrison, 76). 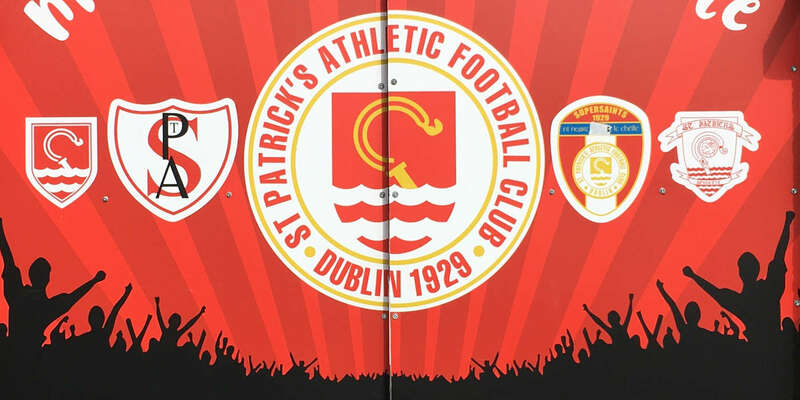 Goals in either half from Greg Bolger and Morgan Langley helped St Patrick's Athletic register a deserved 2-0 victory over Derry City in their SSE Airtricity League Premier Division encounter at Richmond Park. After a disappointing opening half-hour, the game sprang to life in the 35th minute as Bolger struck a sublime lob from 45 yards to open the scoring. The hosts continued to dominate after the break and the points were secured in the 82nd minute as substitute Langley rose highest to convert from Conan Byrne's free-kick. 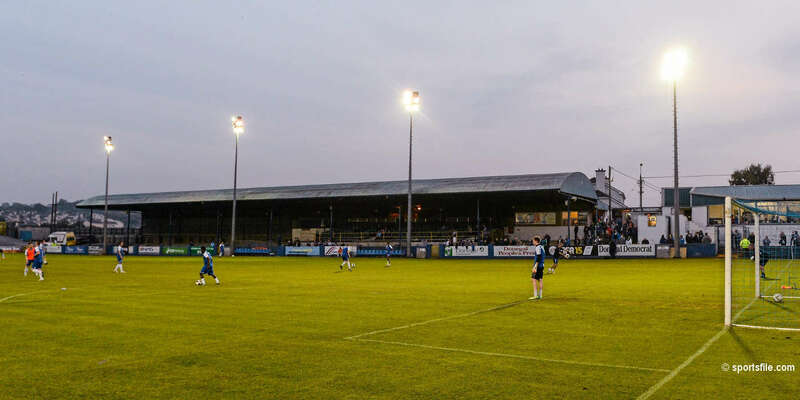 With both Conor McCormack and Killian Brennan suspended following last Friday evening's dismissals at Oriel Park, the hosts' hand was inconvenienced further through the absence of first-choice goalkeeper Brendan Clarke though injury. Clarke's deputy, Conor O'Malley, was not called into action initially with the Saints starting on the front foot with Christy Fagan delaying his pass in the sixth minute with Aaron Greene well placed to his left. Four minutes later, Greene once again took up a promising position but his header from James Chambers' inviting cross sailed harmlessly over Gerard Doherty's crossbar. Given the preponderance of forward-thinking players in the St Pat's side, it was of scant surprise the hosts adopt an attacking policy and their enterprise was almost rewarded in the 20th minute as right-back Chambers cut inside Sean Houston before unleashing a left-foot shot that had Doherty scrambling at his near post. Forrester was next to raid down Derry's left flank but after racing onto Fagan's pass, his low cross just evaded the in-rushing Ciaran Kilduff. There was little to be seen of the visitors from an attacking perspective but from a well-worked move, Sean Houston found himself in acres of space but his ensuing shot rose high into the Inchicore night. When the deadlock was finally broken, it was well worth the wait as Bolger took aim from roughly 45 yards before firing an audacious chip over the back-peddling Doherty for a goal of the highest calibre. Unfortunately, that proved Doherty's last involvement as he crashed into the goal attempting to prevent the goal and after an eight-minute delay, the decision was made to replace him with Shaun Patton. The hosts looked to build on that superlative strike as the half progressed with Forrester next to try his luck from 25 yards, albeit without the accuracy of Bolger's effort. The half ended in a flurry of activity as Ian Bermingham produced a goal-saving tackle to deny Philip Lowry after Anthony Elding's rare sortie down the left wing. 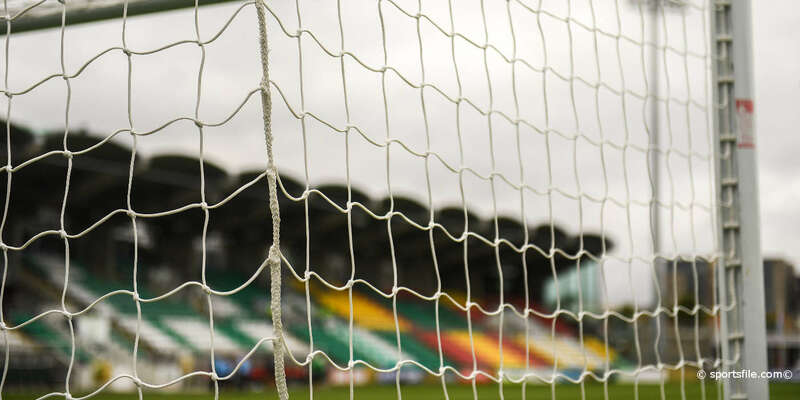 From the resultant corner-kick, Conan Byrne instigated a counter-attack that culminated in vehement penalty appeals by the hosts after Greene's shot was blocked by a plethora of bodies. The second half resumed with the hosts determined to double their lead and with Bolger's confidence understandably high, his ambitious low drive was easily gathered by Patton at his near post in the 50th minute. Within a minute, a well-worker corner-kick routine handed Greene a chance but his rasping drive inched the wrong side of Patton's right-hand upright. City looked to Lowry to get behind Elding and in the 53rd minute, it required a fine block by Kenny Browne to prevent Derry's winger from levelling matters. The contest meandered to a degree after the bright resumption with both sides displaying signs of fatigue with Barry McNamee's long-range shot in the 74th minute the only action of note in a scrappy period of play. However, the hosts continued to carry the greater goal threat and in the 79th minute, Bermingham's adventure was almost rewarded with a low shot from the edge of the area that veered narrowly wide. The points were eventually secured eight minutes from time as Langley out-jumped Patton for a facile finish to confirm a spirited and impressive win by The Saints.